The 3rd largest city in the country and well-known for its nicknames, sport teams, crime history and some good mid-west hospitality. Speaking of hospitality; the rooftop pools Chicago is spectacular and they really need a visit during the summer season. Many of them have the Chicago skyline surrounding the rooftop pool area and that makes the whole rooftop pool experience more excited and joyful. 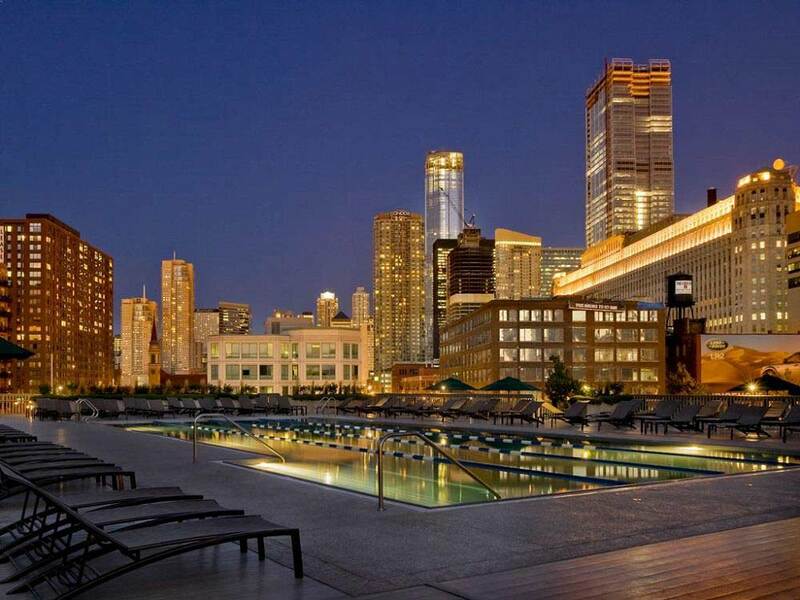 Chicago is a must-city to visit and during the summer the Chicago rooftop pool scenery is feeling its peak. Do not hesitate to catch the sun, reading a good book or have something nice to drink around a rooftop pool in Chicago. Speaking of books, Get the new novel, A Girl's Guide to Chicago and read about the best things to experience throughout the city! 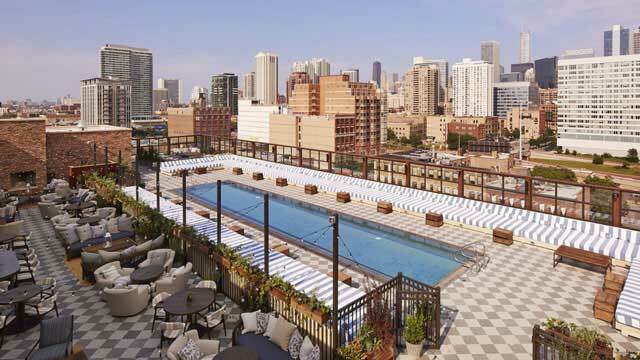 Here’s our list of the best Chicago rooftop pools. 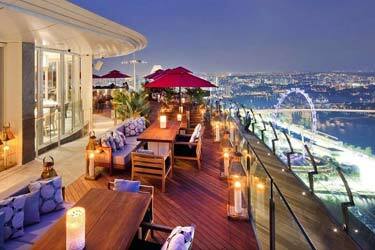 Also check out some of the finest rooftop bars in Chicago here. 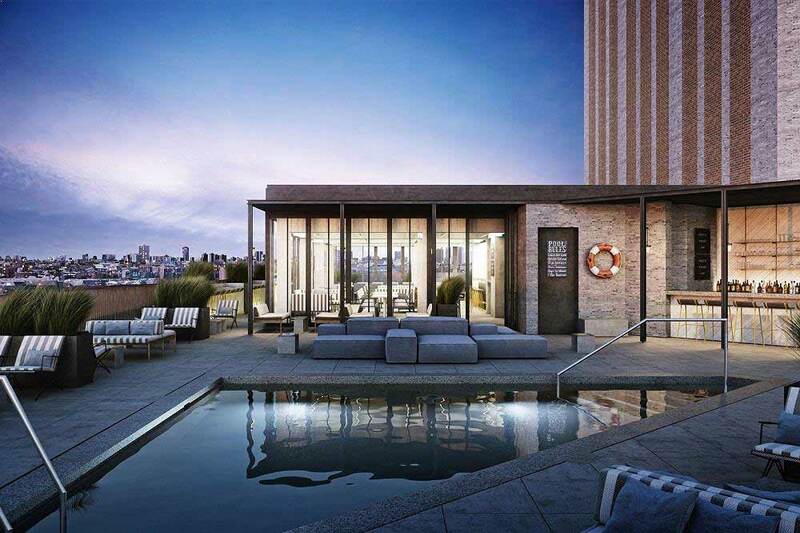 This rooftop pool in Chicago breathes exclusivity! 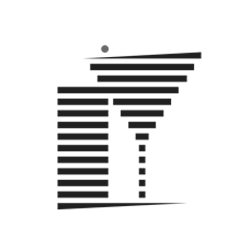 To have full access you must be a guest at the hotel or a member. 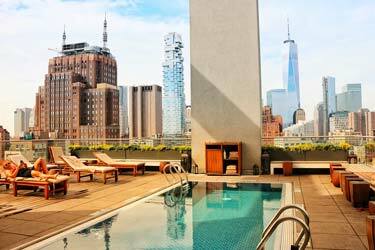 It is worth stay a night just to enjoy this rooftop pool. With the great Chicago skyline in front of you, the whole experience when you are cooling yourself of in the pool makes this visit at SoHo House rooftop pool unforgettable. Once here – you will not leave this rooftop pool in Chicago, Illinois. Need a large rooftop pool in Chicago? Close to downtown and other attractions? 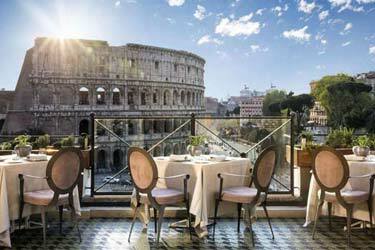 Well, you will find this at Radisson Blu Aqua Hotel! This rooftop pool is very convenient if you want to combine cooling off, tough strokes, close to green areas and some shopping. Here you will find all kind of amenities. 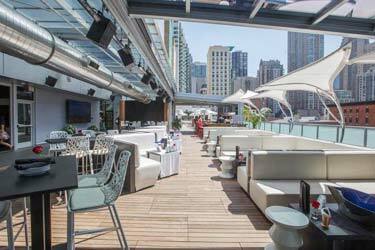 The sun deck is large and with this rooftop pool it makes a perfect place to start your visit in Chicago. 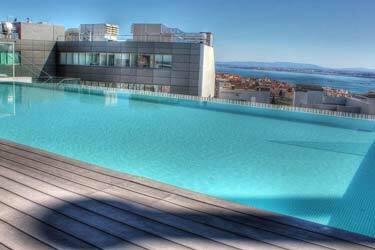 Radisson is a well-known brand and since they can offer the largest rooftop pool in Chicago, it is on to-visit-list. Do not forget it! This rooftop pool in Chicago is so close to the The Magnificent Mile, Chicago’s #1 shopping street. 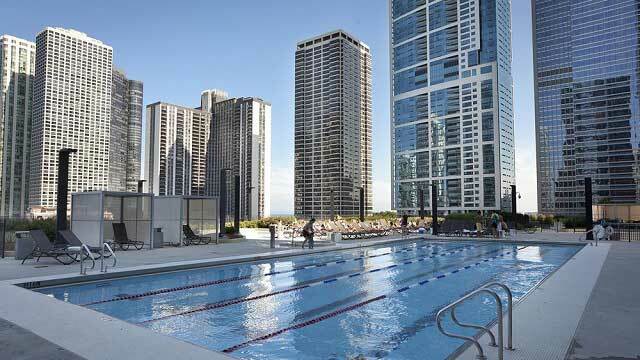 A sticky, hot day and you need to put down your shopping bags and cool off, you should visit this Chicago rooftop pool. 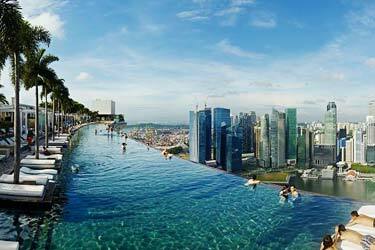 This rooftop pool has an excellent location and is very reachable. Magnificent Mile itself is an attraction and it is busy street. 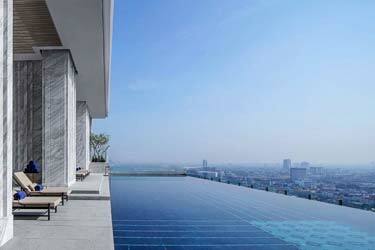 So, when you feel the need of cooling down – visit this rooftop pool in Chicago, easy to find. 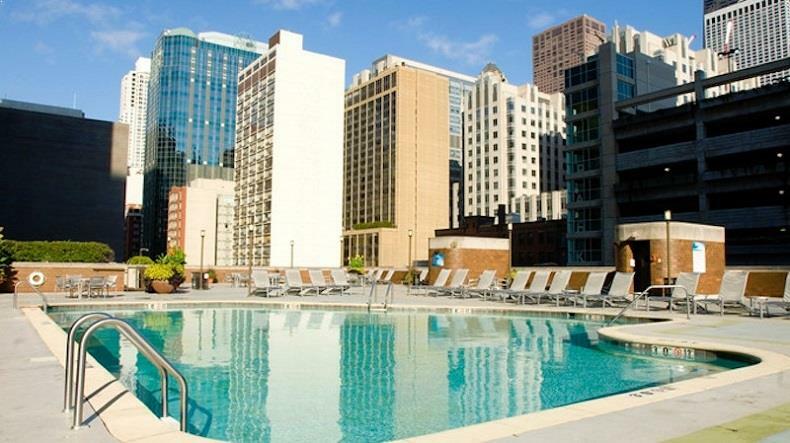 This rooftop pool in Chicago is situated in the northwest part of the town, close to Wicker Park. Actually, The Robey is an art-deco hotel with one of Chicago’s nicest rooftop pools. The rooftop pool area is soft and relaxing with a nice view over Chicago skyline. When you are about to leave downtown area and heading uptown, make a stop and cool off. A very inviting environment makes this rooftop pool in Chicago a nice and popular place to be. All in one package! Well, this rooftop pool is just one thing you can find at this establishment close to the Chicago River. Here you can work out, catch some sun, shoot some golf swings and of course enjoy the large rooftop pool area and all other amenities. You will not be sorry when you see the selection of services you can find here. But the piece off the resistance is the rooftop pool. Chicago is a sport town and East Bank Club answer up perfect with all kind of recreation services… and a great rooftop pool in Chicago!